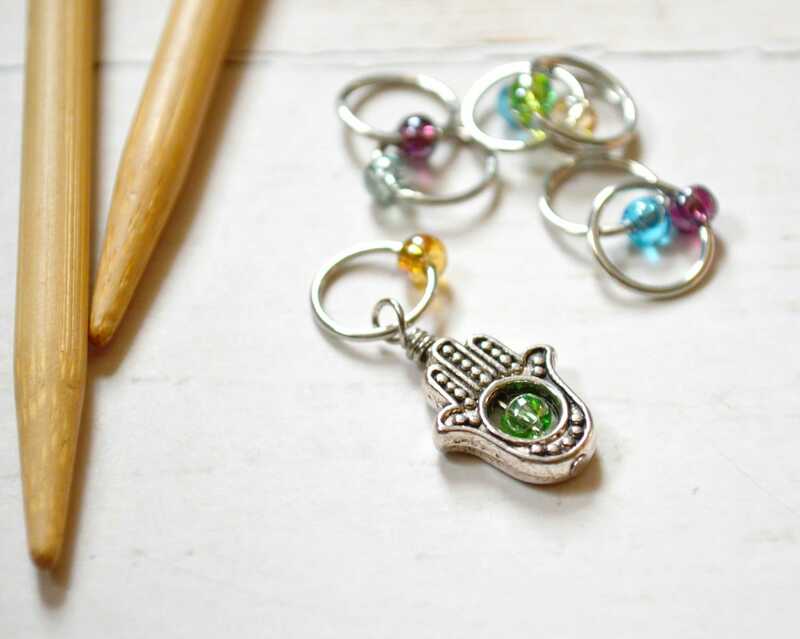 This set features a beautiful, unique silver hamsa hand on silver rings with an assortment of light, bright glass seed beads. 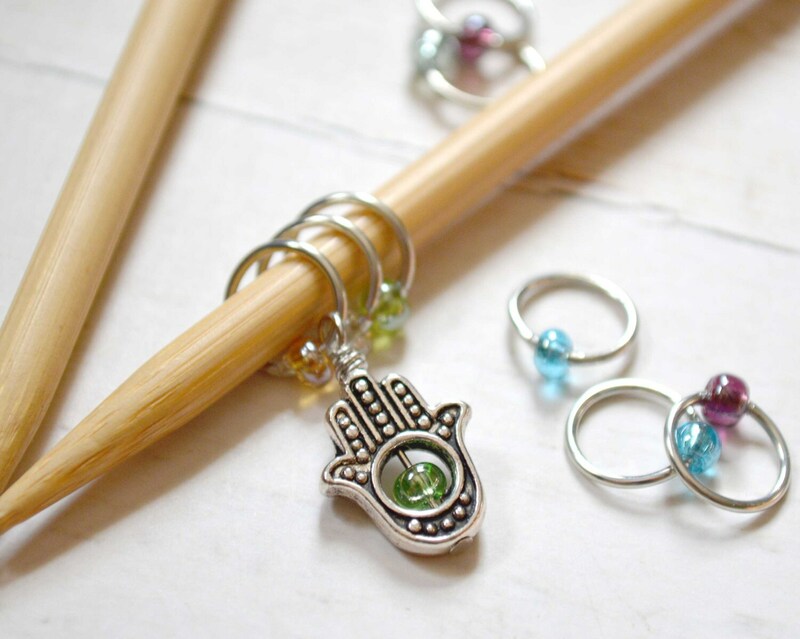 The Hamsa Hand is an ancient Middle Eastern amulet symbolizing the Hand of God and is known as a protective sign. May it bring you happiness, luck, health, and good fortune. Matching progress marker also available. 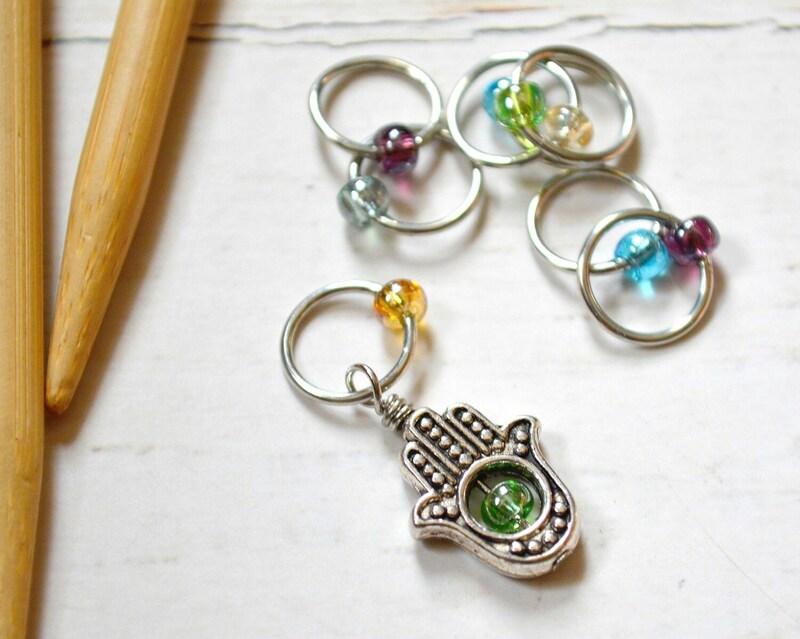 + Handcrafted with sturdy but lightweight 18 gauge wire and glass seed beads. 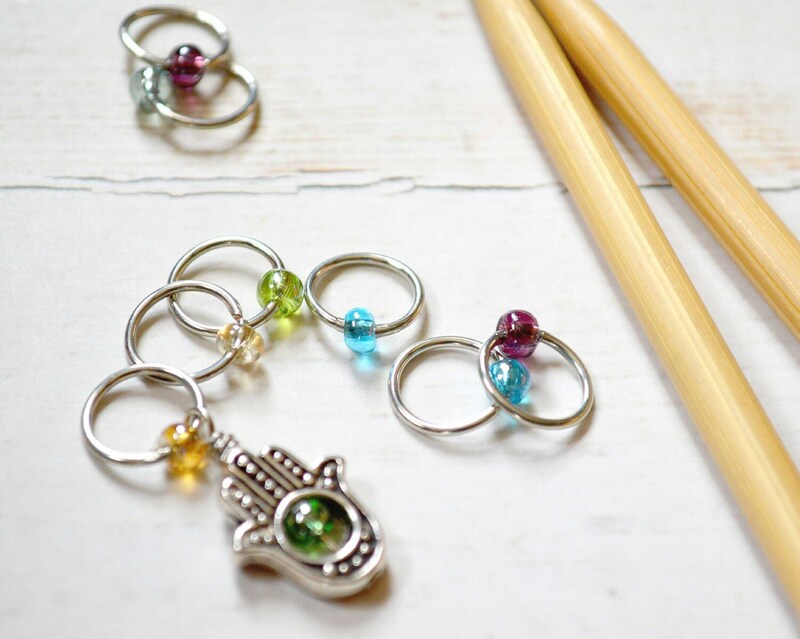 + Featured marker is useful for denoting the beginning of work when knitting in the round. + Ships with a hand shaped, gently hammered marker holder to keep them together and secured.